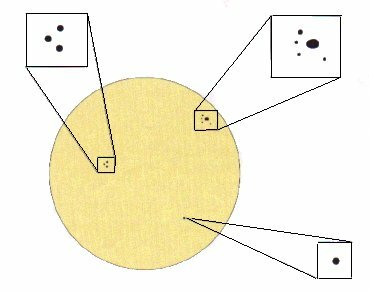 "C" Type: Two or more spots that demonstrate bi-polarity and either the lead spot or trailing spot has a penumbra. 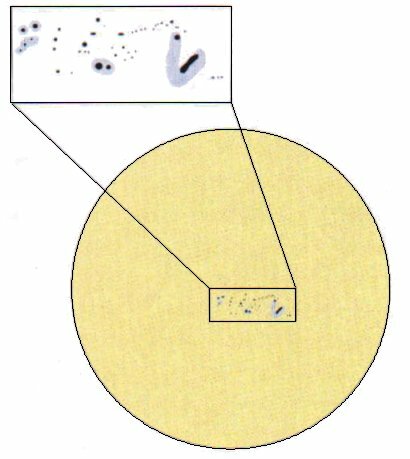 "D" Type: Two or more spots that demonstrate bi-polarity and the lead spot and trailing spots display a penumbra. 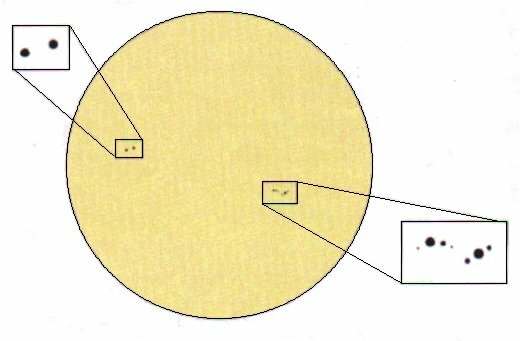 The "D" Type will occupy 10 degrees or less of Solar longitude. 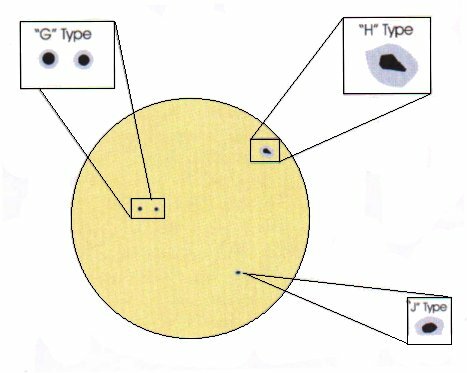 "E" Type: This group type is similar to the "D" type but spreads between 10 and 15 degrees of Solar longitude. 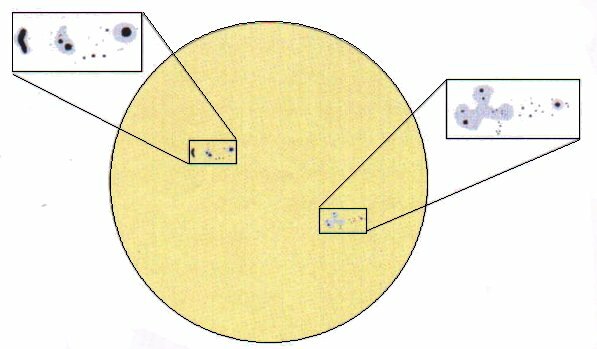 "F" Type: Largest and most extensive of groups, similar to "E" type but will cover in excess of 15 degrees of Solar longitude. "G" Type: The decayed remnant of "D", "E", and "F" groups. Demonstrates a bi-polar group with penumbras. "H" Type: The decayed remnant of "C", "D", "E", and "F" groups. 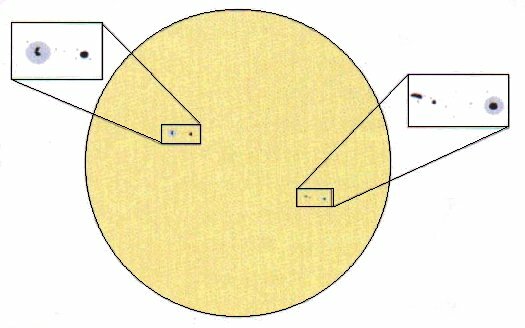 A single spot group with penumbra. Must be larger than two and one-half degrees in diameter. The "H" type occasionally is accompanied by a few small spots. 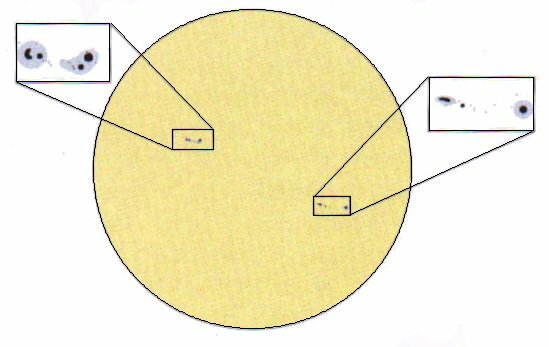 "J" Type: The same as the "H" type but has a diameter less than 2½ degrees.